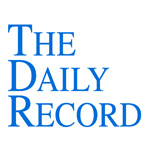 This week's Daily Record column is entitled "What’s coming in legal innovation in 2013." At the end of January, I attended LegalTech 2013, a legal technology conference sponsored every year by American Lawyer Media. This conference is attended by thousands of legal and IT professionals seeking to learn about the latest legal technologies and innovations. If nothing else, this conference is oftentimes a convergence of some of the most innovative and influential people and companies in the legal technology space, and this year was no exception. But, at this year’s conference, I discovered that most of the innovative legal thinking could be found on the sidelines rather than on the exhibit floor — which was largely dominated by companies offering ediscovery services. Throughout the conference, I met with the founders of a number of legal technology companies and had the opportunity to learn about their products. As I did so, a trend emerged: many of the most innovative legal technology concepts revolved around using online platforms to provide lawyers with economical tools to enhance and simplify their practices. Among the most interesting were LexisNexis’ MedMal Navigator, Picture it Settled, LawToolBox, and LegalShare. As I mentioned in an earlier article, MedMal Navigator offers medical malpractice attorneys uniquely tailored access to Lexis’ vast amounts of content and includes built-in assisted legal research dashboard which includes an interactive Q & A tool that walks lawyers through the process of analyzing the applicable standard of care, aids in assessing case values, and helps lawyers locate similar verdicts and settlements. Contrary to my earlier understanding, you do not have to be a LexisNexis subscriber to use MedMal Navigator and can even choose to utilize and pay for only select “pods” of information, such as the medical experts pod, the case valuation pod, or the standard of care assessment pod. This payment scheme makes this tool all the more accessible and appealing and I believe that this innovative offering has the potential to be a very valuable tool to medical malpractice litigators. Also of interest to litigators is Picture it Settled, a Web-based application with a mobile app offering as well that uses predictive analytics including vast amounts of settlement data to assist lawyers during negotiations. Using this tool during negotiations, lawyers can, based on real-time input of offers and counter-offers, estimate when the opposing party will settle and for how much. Another tool that litigators will no doubt find useful is LawTool Box. This Web-based tool is a rule-based deadline manager. It includes the court rules and deadlines of different jurisdictions and then integrates them into a firm’s calendar for a given case using Outlook and other calendaring systems. And, if a due date for a particular task changes, all subsequent due dates are revised accordingly. Finally, there’s LegalShare, an interesting online legal document marketplace. Legalshare is an online repository of legal documents, including pleadings and memos, contributed by other lawyers and available for purchase on a per document basis. Lawyers can both buy and sell documents. This online tool is ideal for solo and small firm lawyers who don’t have access to the vast document databases available to large firm lawyers and who can’t afford to pay for Westlaw or LexisNexis’ legal research services that include access to pleadings and legal forms. So, for solo lawyers who are practicing law in a depressed economy, the ability to purchase relevant documents at low cost gives them an affordable head start when drafting their own pleadings and memos. So, as I learned about these different online tools for lawyers, I realized that innovation in the legal field is alive and well. 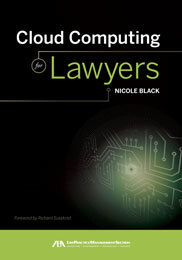 The Internet, mobile and cloud computing facilitate the creative delivery of affordable and very useful tools for solos, small firms and litigators. That’s why it’s so important for lawyers to make an effort to stay on top of emerging technology trends and new products. Then figure out which ones could improve and streamline your law practice and put them to use for you.